With less than a week to go until the much-anticipated OPEC meeting in Vienna on November 30, the oil exporting cartel still seems unable to determine the terms of production cut quotas, who will be exempt from cutting, and even who will participate. According to Reuters, in the latest twist to emerge, as OPEC tries to find the sweet spot for production that reduces the oversupply of crude, the organization will ask non-OPEC oil producers to also make big cuts in output, as it seeks to share the burden of declining output and prevent market share gains by non-OPEC nations. The oil minister of Azerbaijan was quoted as saying the cartel may want non-OPEC producers to cut output by as much as 880,000 barrels per day (bpd). "It could be expected that OPEC members may ask non-OPEC countries to cut production volumes for the next six months starting from Jan. 1 2017 ... by 880,000 barrels from the total daily production," Azeri newspaper Respublika quoted the country's oil minister, Natig Aliyev, as saying. Reuters then reported that an OPEC source had claimed the group had yet to decide on the final figures to be discussed on Nov. 28, when OPEC and non-OPEC experts meet in Vienna. As previously reported, OPEC is expected to discuss production cuts of 4.0-4.5 percent among its members at the Vienna meeting, complying with the roughly 1.2 mmbpd reduction as set forth in the Algiers meeting, which outlined a total OPEC output of 32.5-33.0 mmbpd. Iran and Iraq, however, still have reservations about how much they want to contribute. A cut of 880,000 bpd would represent less than 2 percent of current total non-OPEC output. Shortly after the report came out, Russian energy minister Alexander Novak said Russia was working with Kazakhstan and Mexico, though not the United States, on joint output curbs, but reiterated that Moscow would prefer to freeze output rather than cut. He said that a freeze would be “quite a difficult and harsh situation for us as our plans envisioned an output growth next year." In an amusing twist, Russia floated the concept of a "pro-forma" cut, saying that by keeping its production fixed, it would be an effective "cut" to its 2017 production plan. A production cap would mean Russia pumping 200,000 to 300,000 barrels a day less than planned in 2017, Energy Minister Alexander Novak told reporters in Moscow on Thursday, or as Bloomberg's Will Kennedy put it, Russia is trying to "sell a production freeze as a cut." "According to our plans, (Russia's) oil output is going up next year. If we keep production at the current level we are making our contribution, for us that essentially means a cut of 200,000-300,000 barrels per day (in 2017)", he said. Novak also said that Russia’s position “has remained unchanged and consistent” (even if the algos may have misinterpreted it), and added that “as our president said earlier, we are ready to freeze production at the current levels.” President Vladimir Putin on Monday reaffirmed the country is willing to freeze, adding he sees no obstacles to an OPEC agreement this month after the group made major progress in overcoming differences. While Russia, the largest crude supplier outside OPEC, has reiterated its preference for a freeze over a cut for several months, members of the group, including Saudi Arabia, had been expecting the nation would eventually join a cut, according to people briefed on the matter. If Russia and other non-OPEC producers balk at the idea of cutting output, the exporters’ group could reconsider pushing ahead, the people said. As Bloomberg reminds us, if there’s no agreement to restrict output, the International Energy Agency has said that oil prices are likely to fall in 2017. OPEC’s own estimates of supply and demand also show that the Algiers agreement would barely drain a record oil surplus next year without the cooperation of non-members. Which means that the role of Russia, and other non-OPEC members, will be critical in the shaping of next week's deal, Emmanuel Kachikwu, Nigeria’s minister of state for petroleum, said in an interview with Bloomberg Television. “Russia is as interested in firming up the price as we are,” he said. A senior OPEC delegate told Reuters earlier this week that full participation by Moscow would be required: "Statements from Moscow indicating they are not willing to participate in a cut but just to freeze - this will make it difficult for OPEC to rebalance the market alone and bring prices up." Putting even a cut of 880,000 bpd in context, this would represent less than 2 percent of current total non-OPEC output. But given few non-OPEC producers are expected to participate in the cuts, the burden could be heavy on those that do so - potentially Russia, Kazakhstan, Azerbaijan and Mexico, all of which rely heavily on oil revenues. The good news: an ideal scenario, should OPEC and non-OPEC members reach a deal to cut 1 million bpd and 880,000 bpd in production respectively, it would immediately help the market turn into a supply deficit and help erode record stocks amounting to over 3 billion barrels. It would also likely send the price of oil to the upper-$50 range. The bad news: according to the head of the IEA, Faith Birol, U.S. shale oil producers - which are in no way bound to any production cuts or freezes - will increase their output if oil prices hit $60 a barrel, meaning OPEC will have to walk a fine line if it curtails production to prop up prices, the head of the International Energy Agency (IEA) said. 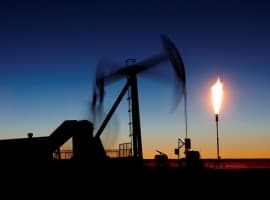 "If this decision pushes the prices up (to) around $60 dollars, we may well see a significant increase from shale oil from the U.S.," Fatih Birol told Reuters on Wednesday. He said this level would be enough for many U.S. shale companies to restart stalled production, although it would take around nine months for the new supply to reach the market. Related: Is OPEC Playing The Oil Markets Again? Low prices have led to two consecutive years of falling investment in upstream oil and gas investments, a pattern Birol expects to continue in 2017. This, he said, could lead to tighter oil supply and price spikes in the future. 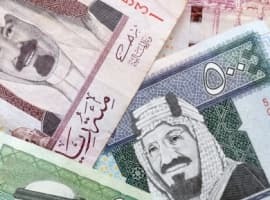 "We are entering a period of greater oil price volatility and the companies, organizations and countries should prepare themselves accordingly," he said. Finally, adding to the complexity, there are two more wildcards: one is Iran oil production and whether Trump will seek to undo the Iranian nuclear deal. Should that happen, and if sanctions are reintroduced, some 1 million barrels in daily oil exports from Iran may go offline, further pressuring the market. 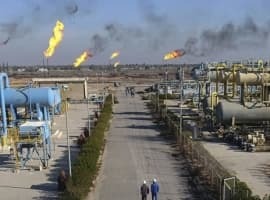 The other is suddenly waning Chinese demand, on what some analysts have speculated is the result of the Chinese Strategic Petroleum Reserve approaching full status, which could eliminate as much as 1.1 million bpd in demand from the market once China stops filling up its extensive SPR. How Hard Has The Oil Crash Hit Africa? So OPEC has raised production the last couple of years, while the U.S. has dropped production substantially. Now, OPEC wants other non-cartel producers to cut production. Don't these fools in the cartel understand how vulnerable they are? Free marketers (if there are any left) abhor cartels. It is time to screw the cartel and Russia totally. Put a $10 a barrel tariff on non-NAFTA oil. Make it revenue neutral by cutting the gas tax. This will force the world oil price to be $10 per barrel less than the U.S. price. The U.S. will become energy independent and a few cartel nations will go totally belly up. The rest will not be able to afford their military budgets. Fine, they are all dictatorships. Not a nickel of their oil revenue is getting to the poor in those nations anyway. Reaching an agreement over production cuts seems complicated at this point. Too many participants from OPEC and non-OPEC. Many of them are even trying to increase production so best case scenario we may get a production freeze. it is tough to trust that everyone might keep their word and not try to take advantage. In addition, shale oil and other private participants might pump more if price goes up, so OPEC is at a crossroad debating what is the best way to go; should they step in to stabilize prices or should they keep waiting for the market to balance on its own? Mr. market is more inclined over the former, so if the later ocurrs then we might be going back to the $30's. Just the humble opinion from a small investor! Arabs have a population fecundity problem, not an oil price problem. Cut back the population and live happily ever after on $30/bbl oil.